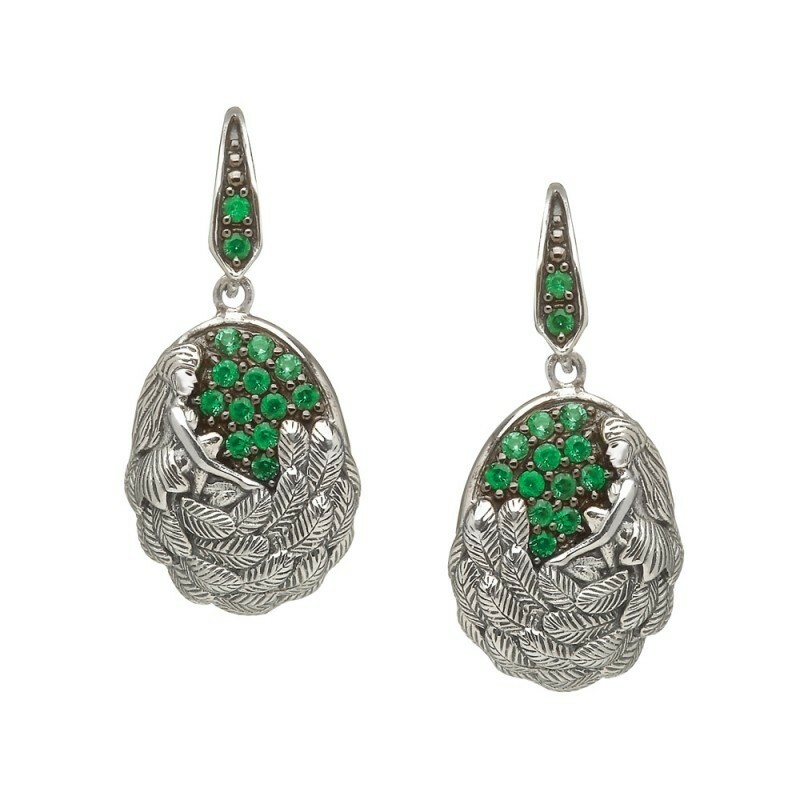 Crafted from sterling silver these stunning drop Irish earrings are set with green cubic zirconia and have decorated posts. These Irish earrings are part of the 'Tuatha De Danann' Collection have been created to adorn the wearer in mystically inspired jewelry- true designs for a goddess. Handcrafted in Ireland .Each CZ stone has been prong set to the highest standards. They come gift boxed with story card. "The truth is not known, beneath the sky of stars, whether they were of heaven or earth". The 'Tuatha De Danann' translated means the people of Danu. They were a race of God-like people gifted with superntural powers who, legend has it, ruled over Ireland over four thousand years ago. Celebrating this Celtic Mythology, Boru Jewelry brings you the 'DANU' range, an enchanting collection in sterling silver inspired by Ireland's mother Goddess herself. From the 'Tuatha De Danann' Collection this piece has been inspired by the legends of the Celtic Goddess Danu, the mother of land and earth. Width: 13mm / Height: 18.5mm approx.